Fun and Relaxing in Tahoe City! Kitchen remodel in September 2012, Come and relax in our cabin with a Scandinavian touch, close to beach, trails and Tahoe City. Enjoy nice evenings in summer on the deck with a bit of lake view and in front of the fire in the winter, please bring your own firewood. Please be aware of the Bear fence we have around the house, switch is located on the deck right of sliding glass door. Please keep it on at night. In the winter please be aware of Tahoe Black ice, all over you can find this and we hope you are careful so you do not find it the hard way. We have Wi-Fi and cable the wifi information you will find inside one of the kitchen cabinets. Please bring your own firewood. Really enjoyed our two night stay here. 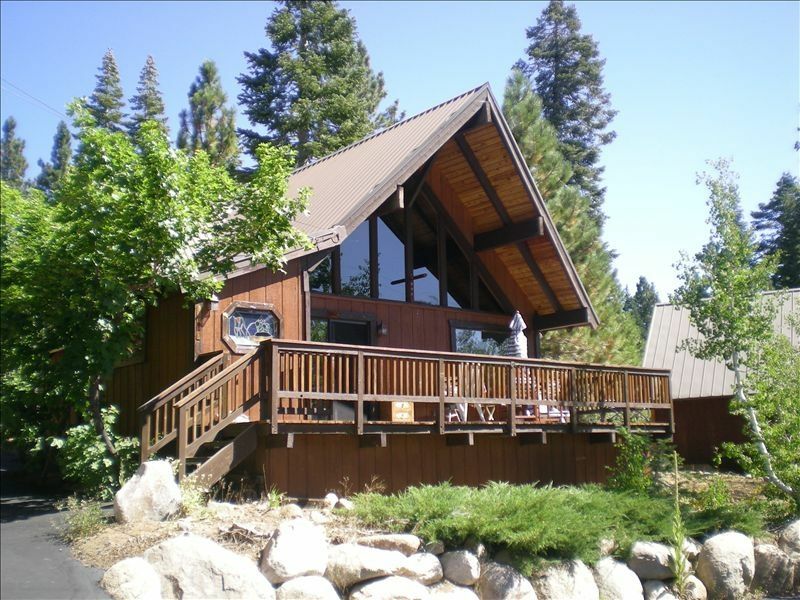 Comfortable rooms, well-equipped kitchen and great location in Tahoe City. Kids appreciated the extensive sled selection! Furnace went out in middle of the last/second night. Guests were crazy cold. House was good value for nightly rate & owner communicated check-in & check out instructions well. But when furnace went out on the second & last night, which is of course an unexpected/unforeseen occurrence, it would have been nice if portable heaters were available. Guests were very cold all night & unable to sleep well. Owner responded to our reporting the problem in the morning (a few hours before scheduled check out) but couldn’t get the problem fixed immediately, which was understandable. I hope to receive a partial refund of the rent paid; seems fair, but I have not requested or been offered one as of yet. Awesome cabin, great location. Was the perfect getaway for a long ski weekend, 10 minutes to Squaw/Alpine, and 5 minutes into town, slept 5 guys comfortably. Our group didn't spend much time in the cabin since there was so much snow to have fun in. Though it seemed to have everything we needed. We appreciated that they had some kids toys in the closet as we had a two year old with us. However, my one complaint is that the upstairs master bedroom is an open loft (no door). We had planned to put our friends with their two year old up there, but had to rearrange due to the open loft and noise. I wish that was made clear in the cabin's description. I liked our stay here very much. Its a beautiful cabin! It had everything we needed for a fun ski vacation (even toboggans for the kids) It is very close to the lake and has a beautiful view. Its close to Homewood, Alpine meadows and Squaw Valley for skiing. I loved all the Carl Larson paintings and Swedish photos and textiles from Sweden, It made me feel at home, being from Sweden myself. We'd love to come back!